Didn’t you think this would be about Cherry Blossoms? I’m living and breathing blossoms this time of year, but have been go go go for so many weeks, that some of my favorite sessions haven’t made it onto the blog yet! 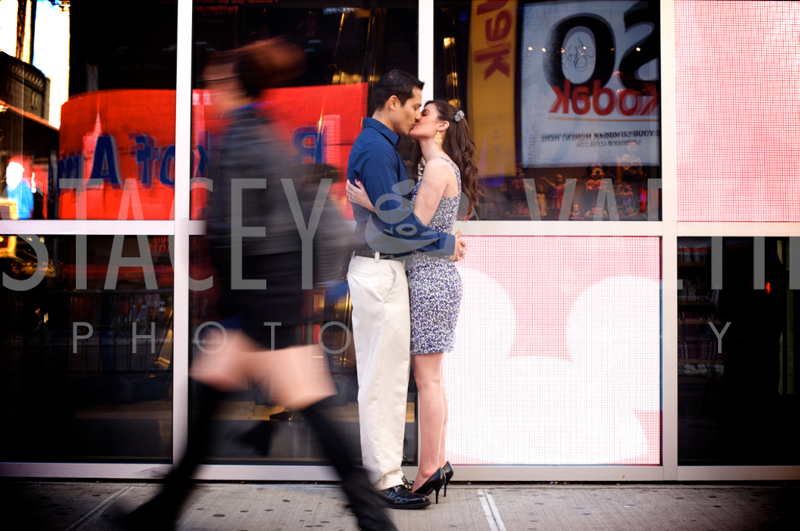 So let’s take a little trip to NYC, where I did a super inspired engagement session with Aaron and Stephanie in Times Square. You’ve already seen our reenactment of VJ Day in Times Square (originally by Alfred Eisenstaedt). But we got some other really fun shots that (freezing) morning as well! Enjoy!